Whether you are planning a corporate gathering, client appreciation event, team building event, social mixer or a festive holiday party, we can accommodate groups (and budgets) of all sizes! "Hosting our inaugural San Francisco client event at Ferry Plaza Wine Merchant was a wonderful experience. From planning the menu to selecting the wines, Linda and Debbie provided valuable insight every step of the way. All the hors d'oeuvres were amazingly fresh and delicious and perfectly paired with the wines. The food and wine was of such remarkable freshness and quality that each guest stopped by to thank me for the fabulous experience. Bo attended to every detail with meticulous care to ensure our guests had the best possible experience. 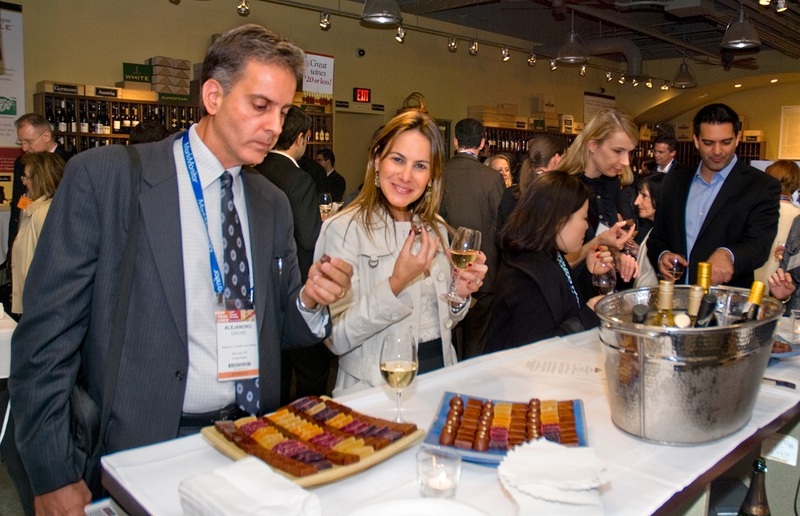 I highly recommend hosting your next client event at Ferry Plaza Wine Merchant."